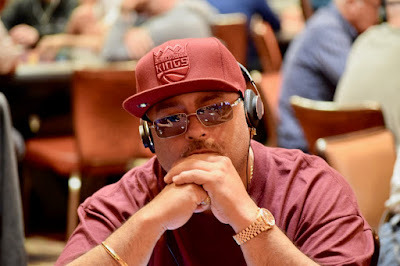 Frank 'The Bank' Loera settles in to the 3 set at table 3 and before cards go in the air, he's drawn in to some 'table talk,' initiated by the player who drops in to the 2 seat. 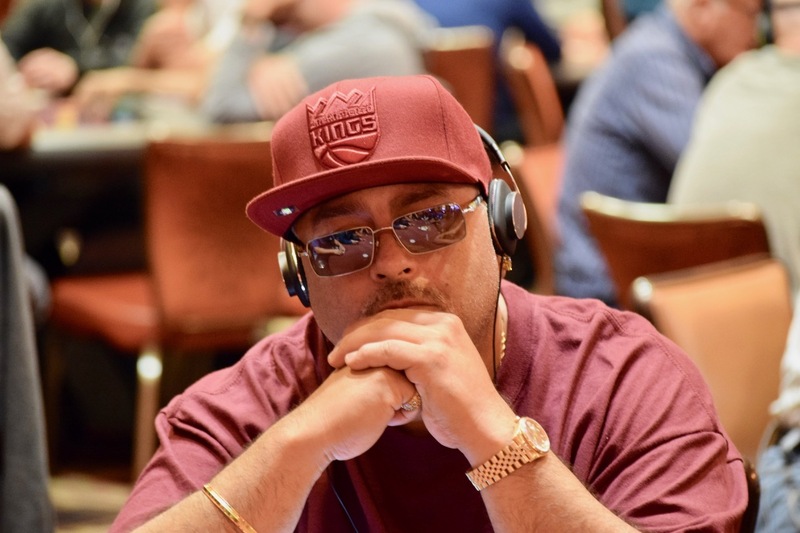 Once the cards are dealt, the talk ramps up, Loera gets Jacks, his challenger flops open-ended and jams his entire 30,000 stack. The Jacks hold and Loera is the beneficiary of Table Talk Gone Bad.